The Amalfi Coast (Italian: Costiera Amalfitana) is a stretch of coastline on the southern coast of the Sorrentine Peninsula in the Province of Salerno in Southern Italy. The Amalfi Coast is a popular tourist destination for the region and Italy as a whole, attracting thousands of tourists annually. In 1997, the Amalfi Coast was listed as a UNESCO World Heritage Site as a cultural landscape. During the 10th11th centuries, the Duchy of Amalfi existed on the territory of the Amalfi Coast, centered in the town of Amalfi. The Amalfi coast was later controlled by the Principality of Salerno, until Amalfi was sacked by the Republic of Pisa in 1137. Like the rest of the region, the Amalfi Coast lies in a Mediterranean climate, featuring warm summers and mild winters. It is located on the relatively steep southern shore of the Sorrentine Peninsula, leaving little room for rural and agricultural territories. The coast comprises 11,231 hectares between the Gulf of Naples and the Gulf of Salerno. The only land route to the Amalfi Coast is the 40 kilometres (25 mi) long Strada Statale 163 which runs along the coastline from the town of Vietri sul Mare in the east to Positano in the west. Thirteen municipalities are located on the Amalfi Coast, many of them centered on tourism. The Amalfi Coast is known for its production of limoncello liqueur as the area is a known cultivator of lemons, known as sfusato amalfitano in Italian, which are grown in terraced gardens along the entire coast between February and October. Amalfi is also a known maker of a hand-made thick paper which is called bambagina. Other renowned local products are a particular kind of anchovies (local Italian: alici) from Cetara, and the colorful handmade ceramics from Vietri. There are buses and ferries along the Amalfi Coast. 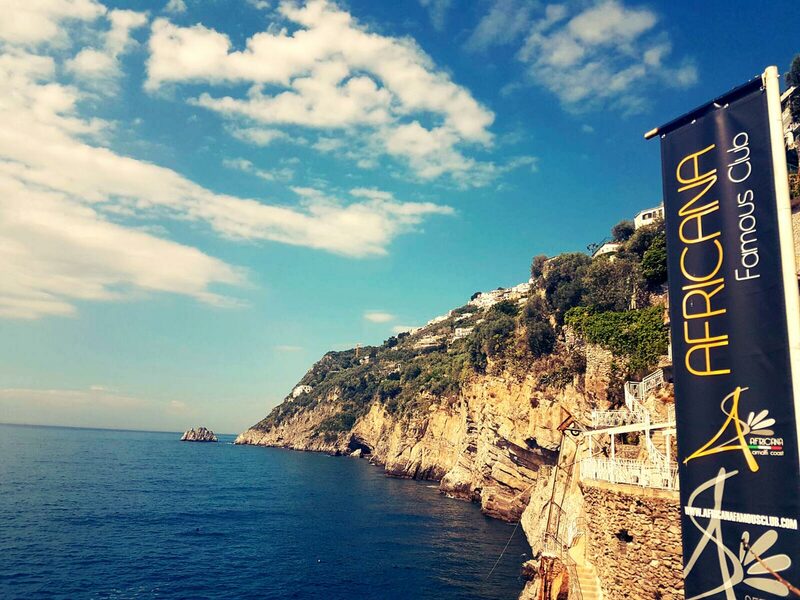 There are also boat excursions from Positano and Amalfi. 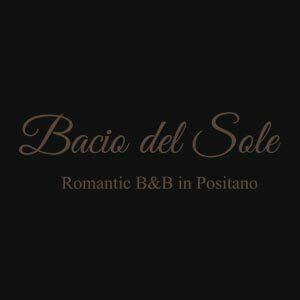 The nearest airport is the Salerno Costa dAmalfi Airport. However, the most used airport to reach the area from abroad is Naples International Airport (Napoli-Capodichino). The rulers of Amalfi are the central figures in Websters Jacobean tragedy Duchess of Malfi. The Amalfi Coast is a popular destination among tourists. 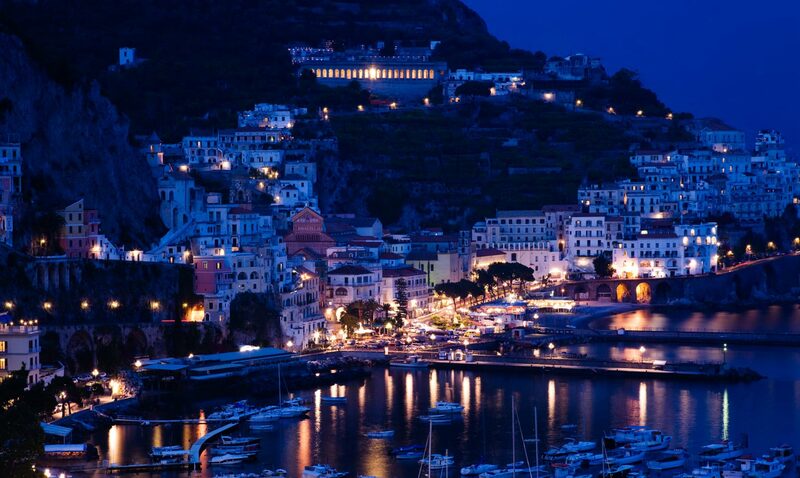 It was featured in Positano, a short story written by American author John Steinbeck in 1953. 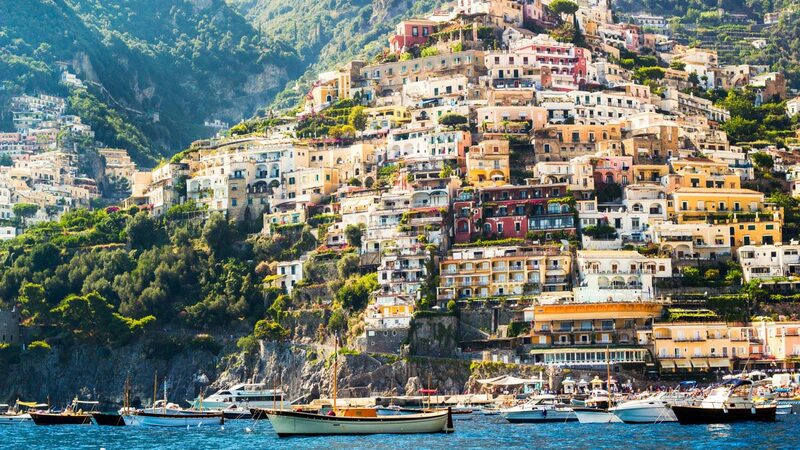 It was also the setting in Finding Positano, A Love Story written by author William James in 2010. Forza Motorsport 4 and Gran Turismo 4. It is also referenced in the Beyoncé song Upgrade U featuring Jay-Z. The Coast is also mentioned several times in The Coast of Amalfi, a song by Steve Harley, appearing on his 2005 album The Quality of Mercy. In the spy comedy Knight and Day, Tom Cruises character speaks of living on the Amalfi coast with nothing but a backpack and a motorcycle. It is also referenced in the Drake song Killer featuring Nipsey Hu$$le.